Will employees be accepting of consumer-directed health care plans (CDHPs)? Are more companies offering an HSA or an FSA? The answers to these and similar questions are critical to building and maintaining a company’s workforce. This becomes especially challenging when you’re trying to balance talent acquisition and retainment goals with the mandate to reduce health care costs for the company. In these situations, you need to know things like the prevalence of cost-saving insurance plans and what consumer-directed benefits will make your benefits package most appealing. That info should help you design a plan to keep up with or even stand out from the pack, which is why I reviewed SHRM’s research report, 2018 Employee Benefits: The Evolution of Benefits, with a focus on CDHPs, HSAs, FSAs, and HRAs specifically and created this summary for you. 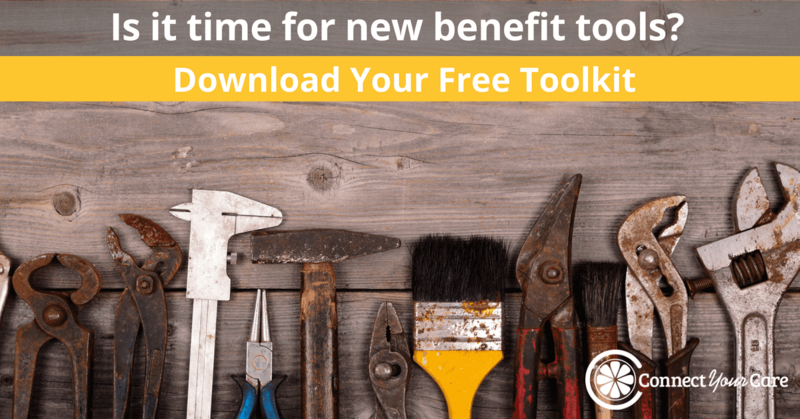 Get resources to help you nail consumer-directed benefits programs with our new Benefits Toolkit. Consumer-directed health care plans showed the largest 5-year increase among the nine types of health insurance plans represented in the survey. CDHPs rose from 30% in 2014 – and 23% in 2017 – to 40% in 2018, and SHRM notes the volatility of these plans over the last five years. That’s not surprising, however, given how difficult it can be for organizations to balance controlling costs and raising employee satisfaction. For the latter, more employee education is required to transition smoothly to a less familiar plan type like CDHP. The prevalence of PPOs and HMOs means it can take some time for both employers and employees to change how they evaluate and judge an insurance plan and to crunch the numbers to determine if they can get the same or better care at a lower cost with CDHPs. Comparatively, PPOs – still the most popular type of insurance plan among organizations and thus the most comfortable – have been steady. Eighty-four percent of employers surveyed offered PPOs in 2018, exactly the same as in 2014. The growing prevalence of CDHPs, however, indicates that organizations are crunching the numbers and realizing exactly how much they can save with CDHPs while still giving employees access to competitive benefits. In fact, in SHRM’s 2016 Strategic Benefits Survey – Health Care, 28% of HR professionals surveyed indicated that offering CDHPs was the best activity for successfully controlling their organizations’ health care costs. CDHP growth could also indicate that employers are more confident in their ability to communicate potential savings to employees and their families, combating the false perception that a higher deductible is inherently a negative change. While CDHPs have grown overall, somewhat surprisingly the prevalence of full replacement CDHPs actually decreased very slightly, down to 3% in 2018 from 4% in 2017. Overall, organizations offering CDHPs exclusively has remained relatively flat since 2015. Remember that HR professionals said offering consumer-directed health care plans was the most effective way to lower a company’s health care costs. It warrants more research to unearth the reason for this short-term plateau. If the reason is that employers wish to provide employees more plan options, than this could be a sign that the trend is “healthy” in many cases. Healthcare consumerism is all about giving families a say in what plan they purchase and where their money goes. However, if we find that CDHP exclusivity is of interest but growth is stunted out of organizational fear of the commitment and transition, that’s another matter – and one that can be addressed with proper employee education planning. The SHRM report also tells the tale of how two tax-advantaged benefit accounts on different evolutionary paths – health savings accounts (HSAs) and flexible spending accounts (FSAs). More than half of employers – 56% to be exact – now offer an HSA, which is not surprising given the growth of CDHPs. Employer-provided HSAs have grown by 12% over the last five years. Additionally, 37% of employers surveyed said they contribute to their employees’ HSAs, up 5% since 2014. Employer HSA funding is one way organizations give employees more incentive to try an CDHP while also reducing corporate taxes. The continued growth in this employee benefit could mean that more employees will look for employer HSA contributions as part of their process to evaluate job opportunities in the future, similar to the value placed on 401(k) contribution matching. While HSA program growth has been steady, flexible spending accounts have declined a bit. Health care FSAs remain the most common tax-advantaged health care account offered by employers, but the number of organizations offering them has fallen from 68% in 2014 to 63% in 2018. HSAs have risen in prevalence by 5%, and medical FSAs have declined by the same 5%. I expect much of the latter has resulted from HDHPs and HSAs being treated as “package deal” by employers and benefits advisors. The savings element offered by HSAs and less rigid substantiation guidelines are also likely contributors if there is indeed a continued migration from FSAs to HSAs. Finally, the number of employers offering health reimbursement arrangements (HRAs) has remained relatively steady in the last five years, growing in prevalence by 2% from 2014 to 2018. HRAs remain the least common employer account, but the level of granular control and employer ownership of these accounts continues to make them appealing for organizations that want to incentivize and empower employees while protecting the organization’s health care investment. From SHRM’s report, we’re also given insight into the popularity of important health care FSA plan design options, as well as the prevalence of dependent care FSAs. Slightly more than half (51%) of employers with a health care FSA offered a run-out period in 2018. That’s up from 49% in 2017, but down 7% from 2015 – the first year when data was available. The run-out period provides FSA participants with an extended amount of time at the end of the FSA plan year to submit receipts for reimbursement for claims incurred during the previous plan year. The run-out period is typically 90 days after the plan year ends. The FSA carryover provision is the option that has increased the most in the last four years, as 46% of employers offering an FSA also offer a carryover provision, which is up from 32% in 2015. Employers sponsoring FSA plans can allow employees to carry over up to $500 of their unused account balances to pay for qualified medical expenses incurred in the next plan year. This cannot be combined with a grace period. Thirty-seven percent of employer-sponsored health care FSAs now include a grace period, up 5% from 2017 – the largest year-over-year increase among the FSA options included in SHRM’s survey. Employers can establish a grace period of up to two and a half months in the new FSA plan year in which the prior year’s balance may be used. This cannot be combined with a carryover option. Employers are also clearly making it a priority to help employees pay for the high costs of dependent care. Of the employers surveyed, 67% now offer a dependent care flexible spending account (DCFSA) – also known as a dependent care assistance program. That means it’s now more common for a worker to be offered a dependent care FSA than a health care FSA or employer-sponsored HSA. Dependent care FSAs’ pre-tax funds can be used to pay for certain care expenses for qualifying dependents – children, a disabled spouse, or legally dependent parents. CDHPs are now offered by 40% of employers SHRM surveyed, up from 23% in 2017. CDHP adoption has been the most volatile among all insurance plan types included in the survey. Health care FSAs are offered by 63% of employers, making it the tax-advantaged health care account most frequently offered to employees. However, this is down from 68% five years ago. Among employers offering a health care FSA, more than half provide a run-out option, 46% of employers’ FSAs now include a carryover provision, and 37% of employers opt for the grace period option. Fifty-six percent of employers surveyed now offer an HSA. That’s an increase of 11% from 2014. These accounts have grown in step with HDHPs. The number of employers offering an HRA has remained relatively steady in the last five years, growing in prevalence by 2% from 2014 to 2018. Sixty-seven percent of organizations surveyed now offer a dependent care FSA, making it the most prevalent of all consumer-directed accounts included in this summary. If you’re an employer or broker, my hope is that understanding just how common these tax-advantaged options really are is helpful as we approach open enrollment season. 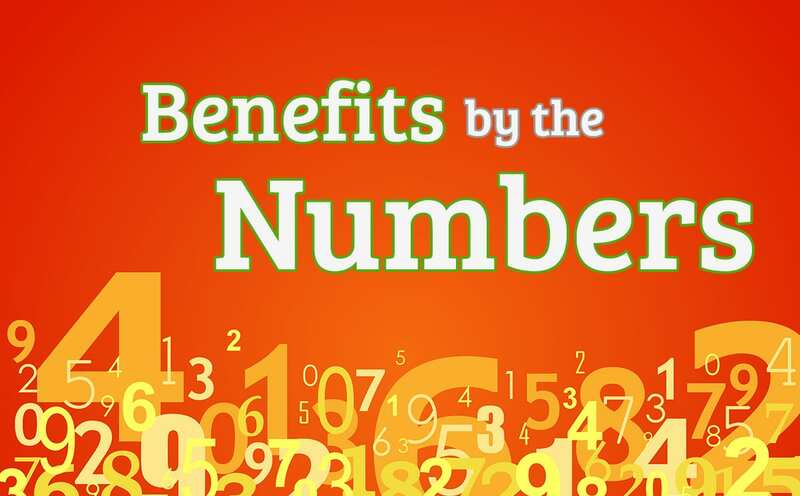 If you have a chance to review benefits package components with these stats in mind, you may be able to find new opportunities to tweak your plan design so CDH is a valuable tool for achieving your talent acquisition and retention goals. Need to build a new CDH program or improve the one you have? Contact us to get expert help.